This is the MIP Metric Speed Tip Hex Driver Power Tool Tip Set. For all those that suffer from carpel tunnel, strained wrists, or pure laziness, MIP has the remedy to your RC wrenching ailments! MIP Speed Tip wrench package including the most popular sizes for Standard SAE sized hex-head screws. 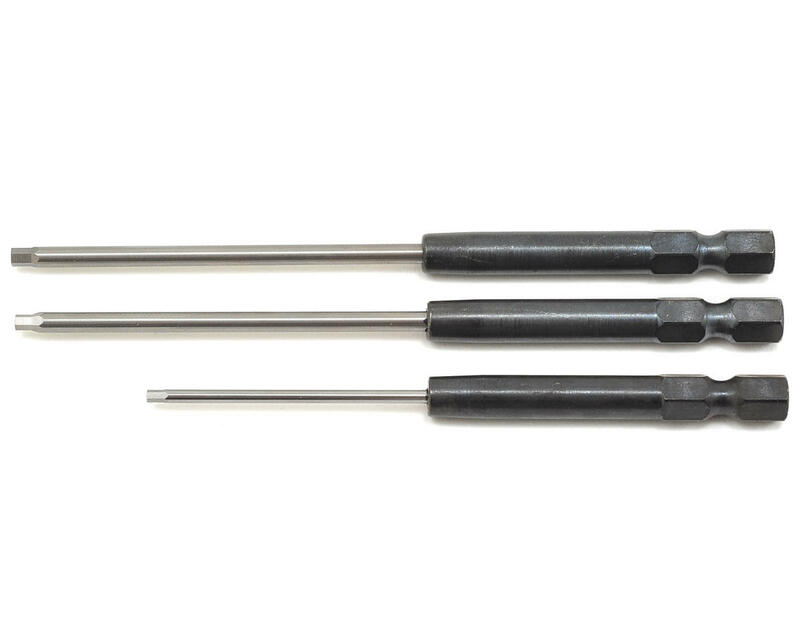 MIP Speed Tip Wrenches are designed to be used in standard 1/4 inch hex chuck with adjustable clutch, so they will work with just about any capable power drill or screwdriver and speed up your time of wrenching and let you have more time at the wheel. 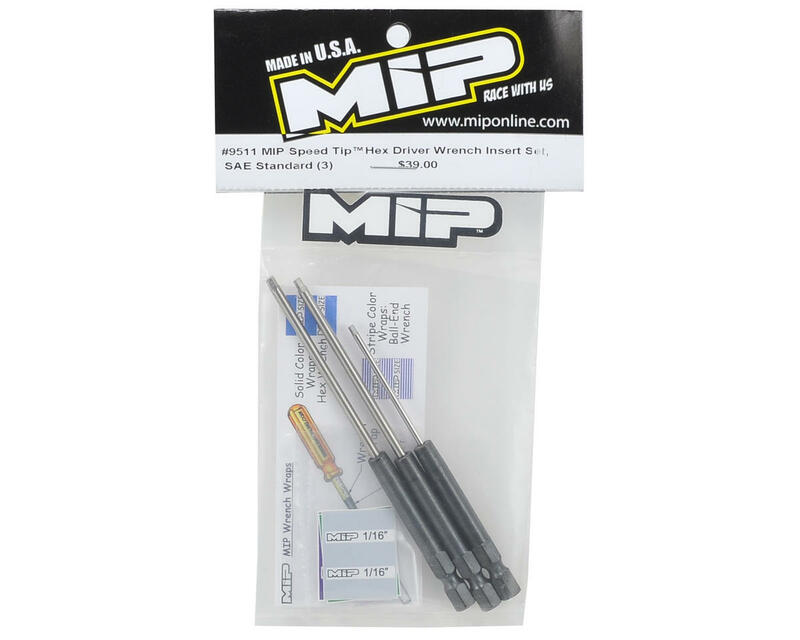 As the exclusive manufacturer, MIP has worked very closely with John Thorp to produce the best wrenches in the hobby industry. Much longer than a typical drill bit, for the most reliable tool to tackle hex-head screws, top technicians and racers choose MIP. Get the wrench that will last a lifetime. 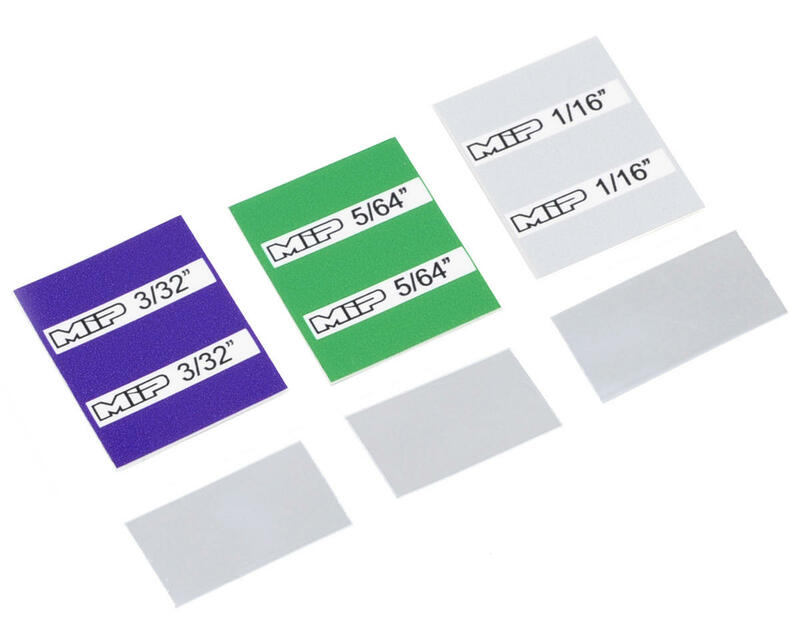 NOW includes MIP stickers you apply to indicate hex size! I just finished using this set to take apart and rebuild my Ten-SCTE's drivetrain. I was a bit hesitant to spend this much on just 3 drivers, but from the moment I held them in the package, I could tell that they were well worth it. The tips are perfectly sized so that there's barely any play in the fastener heads. If these can loosen the 1/16" differential screws on the SCTE without stripping out the heads, you know they're high quality! I plan on getting the metric set once they're back in stock as well.